This forum is for discussion of Email related issues. I am attempting to get email working with an Office365 account, but so far been unsuccessful. What settings do I need to review in Labtech? Anything special that I need to setup in Office365? Hello Michael and Welcome to the forums! I also had the same issues with Office 365, and the reason why it wont work is that LT has issues (or it's just not setup to work) with TLS encryption. 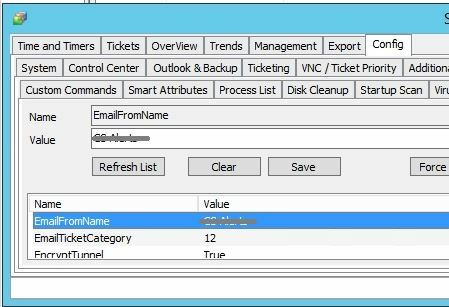 So.. what you need to do is setup the SMTP feature on your LT server and configure your LT Mail setup to point to itself for SMTP relay. 1) http://support.microsoft.com/kb/2600912. Hate to state the obvious, but... You do NOT need to do Step 1: Install Internet Information Services (IIS) from the guide, as it's already on your server from the LT install, BUT [for Server 21012/R2] do make sure that the "Basic Authentication" role/feature is enabled under IIS > Web Server > Security! 2) Go into services.msc and make sure that SMTP service is set to Automatic, and STOP the service. 3) Restart the IIS Admin service and then START the SMTP Service. FYI: 10.20.92.15 is the LocalIP of my LT (and now) SMTP server. 5) TEST TEST and TEST again! PS: NO reboot is required during this process! PPS: Restart DBAgent to Reload DB properties (Dashboard > Config > Config > Properties) to give it a kick, if it needs it! LabTech sends emails to an SMTP server on port 25, and then the SMTP server sends the email to Office 365 on port 587, as LT can't send on 587 itself. Join us in the ##labtech IRC channel @ http://bit.ly/WeDMb8. - The channel created by LabTech users for LabTech users! To get this to work you need to ensure you enable SMPTSSL within labtech using the below process. Once you do that Labtech will be able to send email with Office365 with no issue. After this make sure to restart the Labtech Database Agent service on your labtech server. I tried that and it still didn't work, but oh well... It's working (the long way around) for me now!! On the plus side... My ESET server is in the same DMZ as my LT server and it uses my LT server as it's SMTP too. 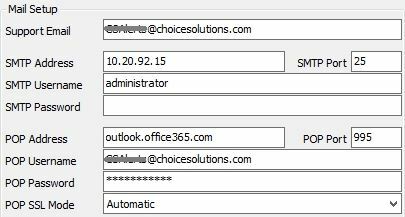 Office 365 requires specific ports - 25 for SMTP won't work.